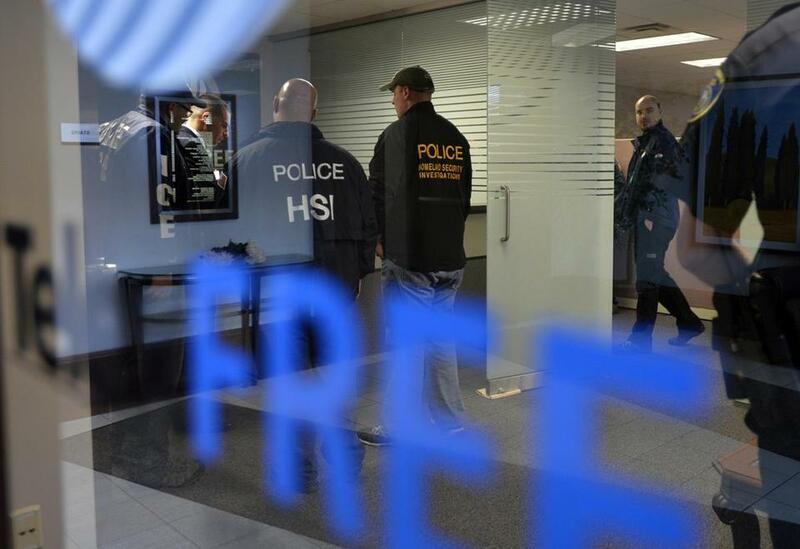 Last April, Department of Homeland Security agents raided the Marlborough offices of TelexFree, which is facing fraud charges similar to the allegations filed against Wings Network. Federal securities regulators have filed civil fraud charges against three officers and 12 promoters of Wings Network, alleging that the company raised at least $23.5 million in a pyramid scheme with echoes of the alleged TelexFree swindle. In a complaint filed in Boston federal court and unsealed Thursday, the Securities and Exchange Commission said foreign companies operating as Wings Network claimed to offer digital and mobile technology for customers. The enterprise allegedly sold “membership packs” that promised guaranteed monthly returns in exchange for recruiting friends and family to join. But in reality, Wings made money by recruiting thousands of Latinos to invest, and using some money raised from later participants to pay off people who had become involved earlier, the SEC said. The principals allegedly diverted $16.5 million to themselves. “Wings Network’s claims about visionary mobile products were just a smoke screen to disguise a classic pyramid scheme,’’ Paul G. Levenson, director of the SEC’s Boston regional office, said in a statement. Many people in Brazilian and Dominican immigrant communities in Massachusetts put money into the scheme from November 2013 through April 2014, the SEC said. The Globe in May reported that Secretary of State William F. Galvin’s office had filed civil fraud charges against Wings and three employees. Galvin began receiving complaints about Wings amid his investigation of the alleged $1 billion global TelexFree fraud run out of Brazil and Marlborough. Marlborough is also a home base for several of the Wings promoters charged by the SEC. One of the Marlborough promoters allegedly earned $1.3 million in commissions for bringing in $15 million from consumers. Boston played host to some of Wings Network’s “Mega Business Events” early last year. The company’s promoters reportedly used social media, including Facebook and YouTube, to invite participants to these events, which were essentially rallies to bring in more business. Promoters held meetings at hotels and other locations in Massachusetts, Connecticut, California, Florida, Texas, Georgia, and Utah. The promoters also set up storefronts to lure investors, including two locations in downtown Framingham. The principals have allegedly transferred millions of dollars out of the companies behind Wings — called Tropikgadget FZE and Tropikgadget Unipessoal LOA, both based in Portugal — and moved the money into personal accounts, and also used some to purchase a hotel. The SEC did not know yet of attorneys representing the company or its principals. Tropikgadget voluntarily suspended its US operations in May 2014 after Galvin filed his complaint. In the past, both TelexFree and Wings have denied wrongdoing. The owners of TelexFree also are fighting criminal charges in the matter. In both cases, the companies were so-called multilevel marketing operations. In such organizations, members invite friends and relatives to join or invest. TelexFree and Wings are allegedly frauds because they used money from early participants to pay off people who joined later. The alleged schemes eventually collapse when there aren’t enough new people coming in to make promised payments. The SEC’s complaint cites 23 people and entities. The agency also has obtained a court order to freeze the assets of the company’s officers, promoters, and related parties.